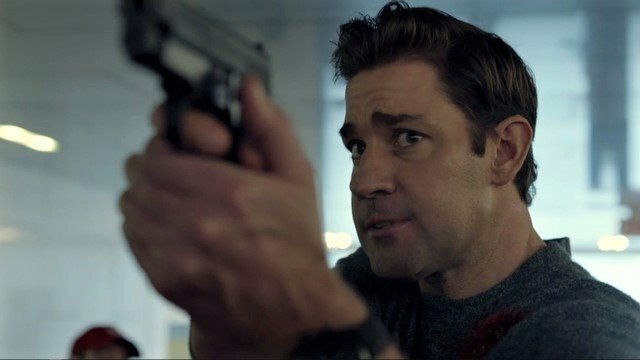 In the previous episode of Amazon’s Tom Clancy’s Jack Ryan, Jack realized the hostages were the delivery system for the EVD-27 Ebola strain. Jack Ryan Season 1 Episode 8 began with quarantining the hostages and those that came into contact with them, including the president, cabinet officers, and some members of Congress. Suleiman and Samir landed in Virginia with their Canadian passports. Suleiman said they were in the country for his son’s liver transplant. He met up with his men already in the U.S. They tested a device to release the blue powder, which turned out to be cesium. Important government figures all under one roof at Washington Memorial made an easy target for a dirty bomb. He planned to use the ventilation system to distribute the powder. 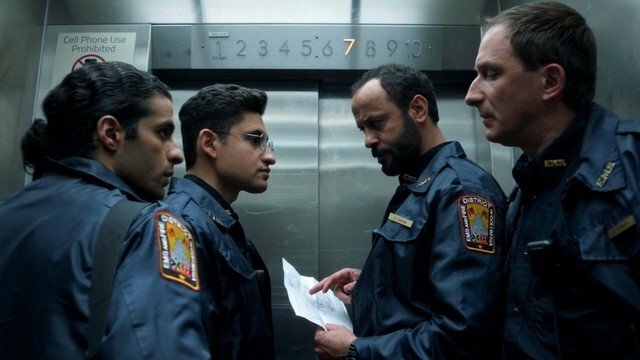 A small explosion in a pizzeria provided cover for Suleiman and his men to enter the hospital as EMTs and plant the bomb. Cathy examined the president at Washington Memorial. He did not exhibit signs that he contracted EVD-27. When Jack realized what Suleiman was planning, he texted Cathy to warn her. She noticed the Secret Service making moves to evacuate the president. Evacuating him first was the priority and would delay a general evacuation of the hospital. Taking matters into her own hands, she pulled the fire alarm. She ended up in the same elevator as Dudayev, but Jim shot and killed him as soon as the doors opened. Jack told Cathy about what happened to him while he was a Marine. They evacuated people during an attack, and a boy begged Jack to take him with him in the helicopter. While in the air, the boy pulled out a grenade and pulled the pin. Knowing that he was the reason the boy ended up on the helicopter haunted Jack. The amount of cesium transported suggested a small attack, which helped Jack piece together Suleiman’s plan. He searched the hospital for the bomb. They shut down the cell towers nearby, forcing Suleiman outside the hospital to detonate the bomb. Police had taken custody of Samir, so Suleiman fled to a train station with Jack right behind him. This time, Jack did not hesitate to shoot in a crowd. Surrounded by baseball fans, Jack shot and killed Suleiman. He fulfilled his promise to Hanin and reunited her with Samir. 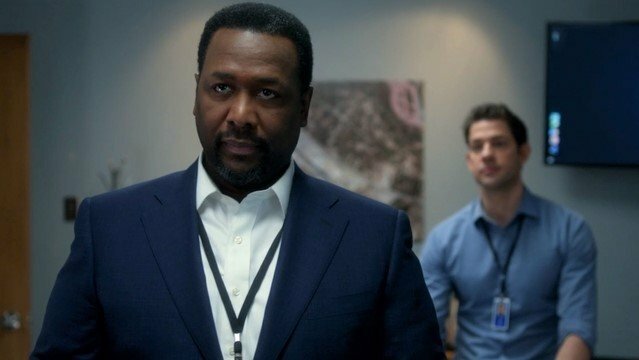 What did you think about Jack Ryan Season 1 Episode 8? Let us know in the comment section below! 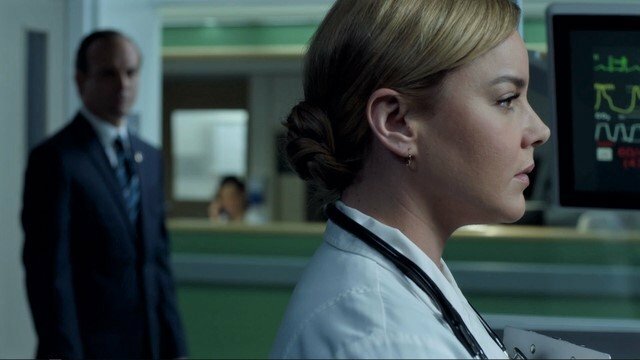 The post Tom Clancy’s Jack Ryan Season 1 Episode 8 Recap appeared first on ComingSoon.net.